TUESDAY, Dec. 12, 2017 (HealthDay News) -- This coming Friday marks the end of the shortened sign-up period for most Americans to buy health insurance through the federal Affordable Care Act (Obamacare) marketplace. Dec. 15 is the last enrollment day for people living in 39 states served by the HealthCare.gov website. At the site, people can pick a health plan, choose a new plan, and also find out if they qualify for subsidies to make their insurance more affordable. There is a notable exception, according to the Associated Press. People living in areas hit by this year's hurricanes can get an extension to Dec. 31 if they phone the HealthCare.gov call center at 1-800-318-2596. That could help people in states like Texas and Florida. Analysts say business has been fairly brisk at the federal health care marketplace, even though President Donald Trump cut in half the sign-up season for Obamacare -- down to 45 days from 90 days. Enrollees are urged to start the enrollment process now, because heavy volume as the Friday deadline nears could slow the HealthCare.gov website or create long hold times for those phoning in to obtain coverage. Every year there's a surge during the last week of enrollment for coverage under the Affordable Care Act (ACA). The biggest surge occurred in 2016, when 3.7 million people signed up over a two-week period. People living in nine states that run their own exchanges will have more time to sign up. Most state-run marketplaces will keep enrollment open through December and into January, according to the website healthinsurance.org. Some folks who have marketplace coverage through HealthCare.gov but didn't re-enroll are already receiving auto-renewal notices, in some cases informing them they will pay higher premiums for a plan they didn't choose. Auto-renewal either re-enrolls people in their current plan or places them in a plan deemed comparable by federal officials. One couple in Virginia received a letter last week informing them that they'd been placed in a new plan with a monthly premium of $3,483, The New York Times reported. Meg and Robert Holub's current health plan won't be available in 2018, so they were automatically assigned to a new plan that they do not want and cannot afford, they told the Times. "It's as if I went to a Ford dealer to buy a Ford car, and then I get a call from Chevy saying, 'Your Chevy truck is ready, and we need the money.' Well, I didn't order a Chevy truck," Robert Holub said. People in the Holub's situation might qualify for extra time, the Times said. They should reach out to HealthCare.gov about an extension. Obamacare enrollment this year has fallen behind the pace set by previous years. 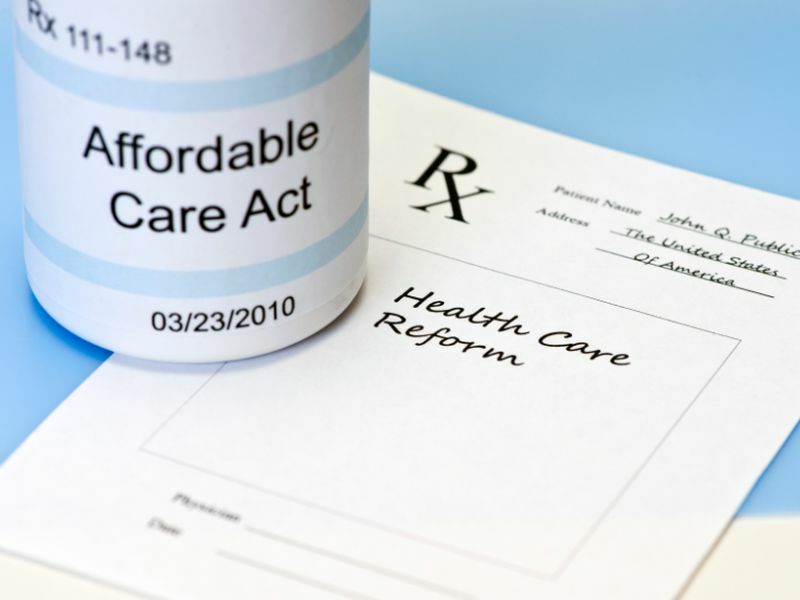 The shortened enrollment period and the Trump administration's slashing of ACA-related advertising likely contributed to this slower pace, experts say. About 3.6 million people had signed up for coverage through HealthCare.gov by Dec. 2, at a point when the enrollment period was more than 73 percent complete, according to consulting firm Avalere Health. At that point in prior years, more than 7.2 million people had signed up, Avalere said. The uncertain fate of the Affordable Care Act's so-called individual mandate -- which requires most Americans to have health insurance or pay a penalty -- also could be dampening enrollment. The tax reform bill adopted by the Senate includes a repeal of the mandate, but the House version of the bill does not. The two bills are now in conference as Republican Congressional leaders hash out differences between each version, and it's unclear whether repeal of the individual mandate will be part of the final package.